So it's stated in the last episode of season 3 of the anime that Todoroki actually has 2 quirks (it counts as 2 quirks) when students ask if Mirio has 2 quirks (it stated that he has only one, permeation, the "instant transmission" he uses is an application of permeation). So I wondered , is there any other characters with 2 quirks like Todoroki in the series? I'll start by saying that Todoroki actually only has one quirk, called "Half-Cold Half-Hot", which is a hybrid of Endeavor's "Hellflame" quirk and his mom's ice quirk. At this point in the anime (I haven't read the manga), there are no characters that have naturally been born with more than a single quirk. Hybrid quirks are not unheard of, since Todoroki explains the concept of quirk marriages in episode 20. Quirk marriages ensure either that a certain quirk is passed down for generations, or that two quirks are combined to create an even more powerful one, in the case of Todoroki. 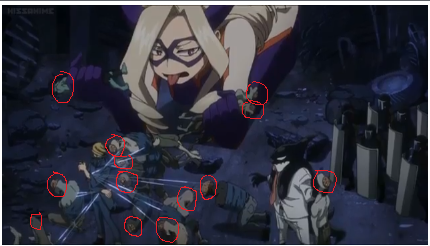 At least 17 Nomu (I count 13 at the Nomu factory, plus the 3 killed when Shigaraki loosed them on Hosu, plus the one from the USJ attack). This makes for a total of 27 people with more than one quirk. As well, during All For One's time in power before All Might defeated him, he may have used his quirk to transfer quirks to any number of individuals. It's unknown how many of them may still be alive, or whether they could pass these artificially inherited quirks down to their children naturally. * One For All is a combination of two quirks - a quirk that allows you to stockpile power in your body, and a quirk that allows you to transfer quirks, as explained by All Might. Is there any other character with a quirk evolution?